Is God's creation still in crisis? Ten years after scientists and theologians wrote the book 'Creation in Crisis: Christian Perspectives on Sustainability' about environmental issues, where are we today? asks Graham Hedges, secretary of Christians in Library and Information Services. Some years ago, when I was working for the library service in London, I remember a conversation with a young woman who was concerned about the environment, and such issues as global warming and climate change. Louise told me that she had been brought up in the church, but when she raised her concerns with members of her congregation, there was a lack of interest and an attitude that it wasn’t their problem. Eventually Louise drifted away from the church and found an outlet for her interests elsewhere. I personally have seen no lack of interest in environmental matters in the Christian community: take the work of groups like Green Christian (formerly Christian Ecology Link), an association of Christians keen to relate their faith to current environmental concerns and to encourage members of their churches to think seriously about such issues, and A Rocha, which recruits volunteers from various Christian backgrounds to work on conservation projects in different parts of the world. But, perhaps these concerns are less frequently aired at local church level, where there may be an attitude that we should ​‘stick to spiritual things’ such as prayer, evangelism and personal Bible study? Creation in Crisis: Christian Perspectives on Sustainability, a collection of essays that originated at a conference held at the Faraday Institute for Science and Religion in Cambridge in 2008, features contributions from eminent scientists and theologians, who set out to bring ​“theology down to earth and give wings to science and technology”, and in so doing, as James Jones, former Bishop of Liverpool, said, ​“help to persuade Christian readers not to over spiritualise the beatitude which holds before us the promise of inheriting the earth”. The book was published almost 10 years ago, and the environment has continued to be a matter of concern since it was released. Only recently, for example, a preliminary study by distinguished scientists, among them Frederick Otto of the University of Oxford, has concluded that climate change made this summer’s heat wave in Britain and other countries ​“twice as likely”. Similarly, following recent flooding in India, Christian Aid warned that such devastation will become the norm if nothing is done to tackle climate change. Add to this, the amount of plastic in the ocean has become a matter of concern. Among the notable scientists who outlined the threats to the ecosystem posed by climate change and global warming in the first section of Creation in Crisis was Sir John Houghton, who began with an essay on sustainable climate and the future of energy production. Sir John’s particular concern was the rise in carbon dioxide (CO2) levels in the atmosphere during the past century as a result of the burning of coal, oil and gas. He claimed that if insufficient action was taken to control these emissions, the concentration of CO2 would rise to two or three times its pre-industrial level during the course of the 21st century. Sir John considered the potential of alternative forms of energy, including solar energy, tidal power, wind power and even nuclear power (about which he has reservations). He suggested practical steps that individuals could take to reduce energy consumption, including home insulation, car-sharing schemes and the use of public transport. In the end, however, he said concerted action was needed at government level. Calvin DeWitt, meanwhile, wrote on sustainable and unsustainable agriculture and drew attention to the degradation of agricultural land in many parts of the world due to intensive farming methods and a relentless quest for profit. He commended approaches to farming that ​“seek to promote and understand ecosystem health while minimising adverse effects on natural resources”. His final section responded to criticisms that organic farming methods and the like may be insufficient to satisfy the world’s need for food. 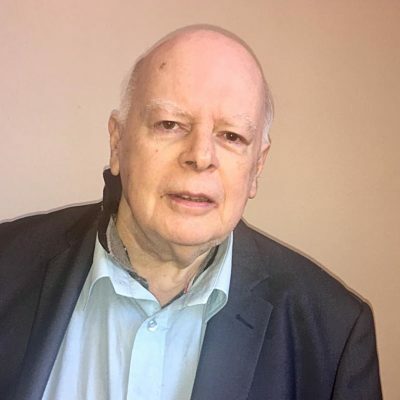 Richard Carter looked at the links between poor water supply, inadequate sanitation, poor hygiene practices and ill health, especially in sub-Saharan Africa. He recalled that the United Nation’s Millennium Development Goals had called for the proportion of the world’s population without access to safe drinking water or basic sanitation to halve by 2015. At the time of writing, it appeared that while the target for safe drinking water was likely to be achieved, the sanitation target was likely to fall short of the desired result. The author surveyed parts of Africa where positive change had been achieved and called for greater efforts to extend the benefits of clean water and adequate sanitation to other parts of the African continent. Brian Heap, Flavio Comim and George Wilkes took a critical look at international agreements on climate change and suggested ways in which their impact could have been greater. The Kyoto Protocol of 1997, for example, proved to be largely symbolic due to loopholes in the agreement and an inability of national governments to agree on how the protocol should be implemented. The authors called for ​“greater co-ordination and integration of actions and responsibilities through multilateral agreements and coalitions nationally and locally”. They recognised, however, that the self-interest of national governments and multinational corporations has often limited the effectiveness of such international cooperation. Despite their different perspectives, the contributors agreed that urgent action is needed to safeguard the environment and that reducing carbon emissions and greenhouse gases should be a priority. They drew particular attention to the extent to which Western nations consume a disproportionate amount of the world’s resources and recommended practical ways in which the production and use of energy could be made less harmful. A study of the relevant biblical texts can offer “new insights that resonate with and are relevant to current environmental concerns”. For example, standards of insulation and energy efficiency in buildings, in the UK and US, need to be brought closer to those of the Scandinavian countries. For cars, various technological developments are proposed for the coming decades including petrol/​electric hybrids and hydrogen fuel from non-fossil sources. They pointed out that, while much of the world’s pollution is caused by wealthy Western countries, the poorer nations are often the ones who suffer the most damage from rising ocean levels and other problems. The reality of climate change is still sometimes greeted with scepticism by the media and members of the public, which James McCarthy, another eminent scientist with an essay in the book, argued is a consequence of industrial corporations, with a vested interest in fossil fuels, spreading misinformation on environmental matters, often using the same lobbyists who were employed by tobacco companies to play down the health risks associated with smoking. He said: ​“The concerted efforts of climate science contrarians and their financial patrons to deny the validity of climate science have contributed to delays in formulating and implementing meaningful policies to address climate change in developed and developing nations.” It’s encouraging to see that the contributors were not afraid to venture into controversial areas. John Guillebaud and Pete Moore dared to take a stand too, as they tackled the problems of population growth and argued the need for more effective programmes of contraception. They pointed out, for example, that the world population is projected to reach 9,400 million by 2050 and argued that unlimited population growth is not an option on a finite planet. In their view, promoting methods of family planning would seem to be part of the solution, although they noted Catholic and Orthodox objections to the practice and wider Christian concerns that the availability of contraceptive methods would encourage sexual activity outside the confines of marriage. Robert White, then, raised the question of whether natural disasters should be regarded as ​‘acts of God’ or as the results of human follies. He recognised that phenomena such as earthquakes, storms and flooding may have purely natural causes but asked us to consider the extent to which the unsustainable lifestyles of the affluent West may have exacerbated the damage and human suffering experienced by those living in less affluent regions, especially in the global south. Finally, Rene Padilla concluded by raising the question of globalisation and the dangers of international capitalism. His chapter provides a critique of consumerism and the effects of an economic system which encourages us to aspire to an ever-increasing standard of living without due regard for the ecological and environmental consequences of continuous economic growth. The theologians took the floor in the second part of the book. Hilary Marlow considered the Hebrew prophets and their concern for the welfare of the earth. The writer looked at verses from Micah 6, Isaiah 1 and Amos 4, as well as the later chapters of Isaiah and portions of the Psalms, to establish links between human sinfulness and the health and wellbeing of the natural order. She suggested that a study of the relevant biblical texts can offer ​“new insights that resonate with and are relevant to current environmental concerns”. Richard Bauckham looked at the concept of the kingdom of God, as proclaimed by Jesus, and argued that this is a holistic vision which includes all aspects of life and looks forward to God’s ultimate redemption of the created order. His chapter on Jesus and nature in the four gospels considers the so-called ​‘nature miracles’ (such as Jesus calming of the storm), which he believes indicate a divine concern for the natural creation. We are reminded of God’s concern for the falling sparrow (in Matthew 10) and attention is drawn to a remarkable passage in Mark 1:13 which implies a state of harmony between Jesus and wild animals during his 40 days and nights in the wilderness. The clear implication is that God is concerned for the natural order and this should be our concern too. These scientific and theological essays implicitly or explicitly challenge an opinion which one occasionally hears in Christian circles, that as the present world order is to be destroyed at the time of the second coming, we do not have to worry too much about the fate of the environment in the meantime. This attitude is then tackled head on by theologians Douglas Moo and Jonathan Moo, who expound the Christian hope for a new heaven and new earth and stress the continuity, as well as discontinuity, between the old and new creations. Are we all better at taking care of creation now? A decade has passed since these papers were first published, and this raises the question of how much progress has been made in the intervening years. Perhaps inevitably, the picture is mixed. Recent abnormal weather conditions in various parts of the world have certainly highlighted the probable effects of climate change and have led to renewed discussion in the media and elsewhere. A recent decision by leading retailers to phase out plastic packaging, which is difficult to recycle, is a step in the right direction. On the other hand, despite widespread agreement that air travel is a major contributor to air pollution, the British government seems determined to press ahead with a third runway at Heathrow. Then there’s the electric car. In spite of hopes that the development of electric cars will help to improve air quality, it has recently been claimed that these benefits will be cancelled out by increased air travel in the years to come. What can we do as Christians? Certainly, we can think about our own lifestyles and consider recycling, the efficient use of energy, and the merits of travelling by public transport rather than by car. We can make our concerns known to members of parliament, government ministers and business leaders, and try to put environmental matters on the agenda of our local churches. Creation in Crisis harnesses the knowledge of scientists to address the seriousness of environmental degradation and climate change in real terms, but brings in essential Christian thinking, which, in my view, points back to the Creator and His encouragement to develop a better understanding of these issues and see them as our concerns too. The book is not an ​‘easy read’, especially for those without a scientific background, but it still raises many questions that still need to be addressed as we approach the end of the second decade of the 21st century. 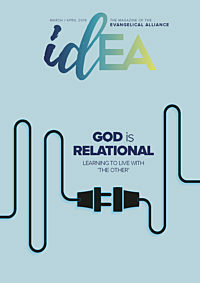 Look out for the November-December edition of idea magazine, which tackles some of the challenges Christians around the UK face when they consider how to take care of all of God’s creation. Photo by Bud Helisson on Unsplash. Graham Hedges is the Secretary of Christians in Library and Information Services and a trustee of the Christian Book Promotion Trust.